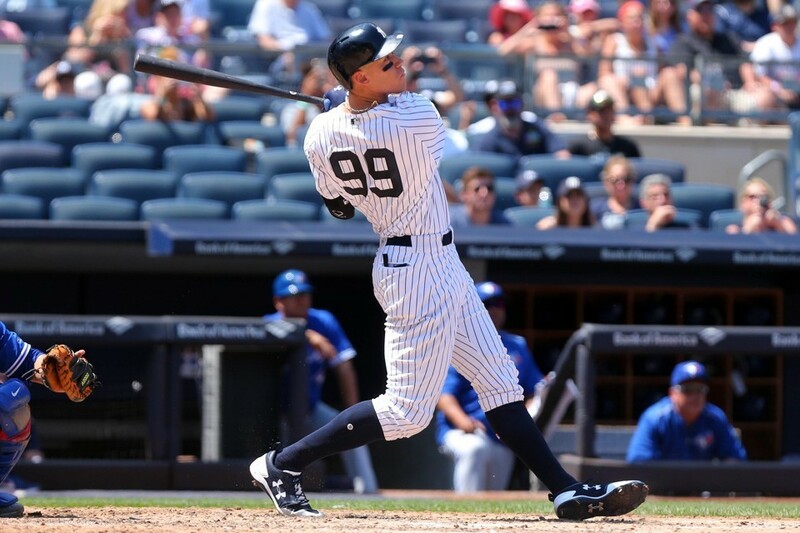 Reigning Rookie of the Year in the American League Aaron Judge, will be starting his second full Major League Baseball season today and insists he feels at ease despite the high expectations that surround him. Judge said during a Wednesday workout at Toronto’s Rogers Centre that with the team the Yankees have this season there is no pressure. New York opens its season on Thursday visiting the Blue Jays. Judge added that like he has said prior to now, no one player must do the work of others, as there are 24 guys beside him willing to help him and the rest of the team out. He wants to take the season one at-bat, pitch and play at a time. The plan Judge has sounds good in theory, but the intense scrutiny Judge was under following his 52 home runs a season ago has now intensified with the start of the new season today. A popular video game franchise with Judge’s likeness on the cover arrived at stores on Wednesday. One day before, Adidas announced it reached a new deal that makes Judge its most recent superstar client. Across midtown Manhattan one could see signs featuring Judge with the words – Judgement Day – as Adidas began touting the new relationship it has with the slugger. While this is connected to his accomplishments of 2017, do not remind Judge of his first season. Judge says that last year is in the past. While the slugger now turns his focus to the 2018 season, a new teammate of his agrees with the forward thinking outlook of Judge. That same teammate has words of advice for the young slugger when asked to offer them at the news conference on Wednesday. Giancarlo Stanton, the MVP of the National League last season and now a teammate of Judge, said he would advise Judge not to attempt to be better than the previous season. Do not compare numbers, just build off what you have done and trust your preparation and yourself and things will fall into place. Stanton, who a season ago hit 59 home runs to lead all of baseball, is excited for Opening Day and being with the Yankees. Judge’s 52 homers last season were the most for any player in MLB during his first season. He batted .284 and knocked in 114 runs, while posting an OPS of 1.049.